Beginning in an analysis of three paradigmatic instances of the encounter between art and technology in modernism—the invention of photography, the step beyond art in Futurism and Constructivism, and the interpretation of technology in debates on architectural theory in the 1920s and ’30s—this book analyzes three philosophical responses to the question of nihilism—those of Walter Benjamin, Ernst Jünger, and Martin Heidegger—all of which are characterized by an avant-garde sensibility that looks to art as a way to counter the crisis of modernity. These responses are then brought to bear on the work of the architect Mies van der Rohe, whose "silence"—understood as a withdrawal of language, sense, and aesthetic perception—is analyzed as a key problem in the interpretation of the legacy of modernism. 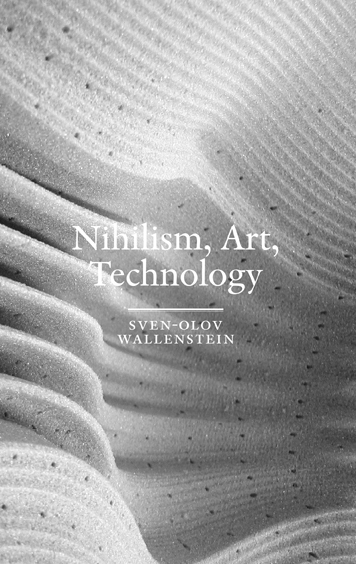 From this, a different understanding of nihilism, art, and technology emerges. These concepts form a field of constant modulation, which implies that the foundations of critical theory must be subjected to a historical analysis that acknowledges them as ongoing processes of construction, and that also accounts for the capacity of technologies and artistic practices to intervene in the formation of philosophical concepts. Sven-Olov Wallenstein teaches philosophy and aesthetics at Södertörn University, Stockholm, and is the editor-in-chief of SITE.